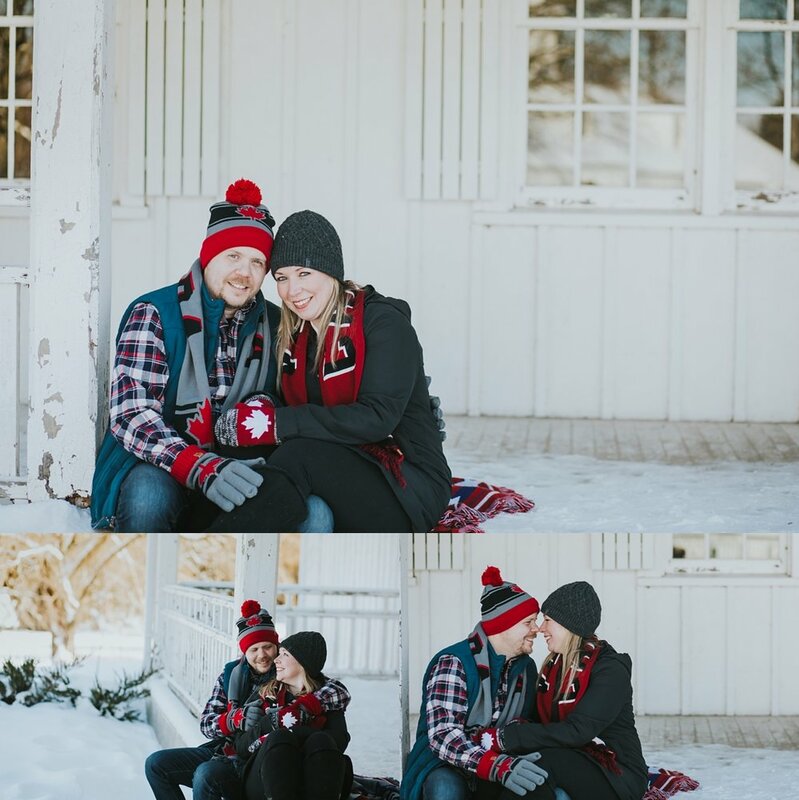 The sun was shining for some of the session, and it was not TOO cold, but the wind was pretty harsh at times and Paul and Erin trooped it out and did not even complain. Not even when i asked them to climb a hill and walk through snow that went up past their knees. I must say I have the best couples who trust me and just go with my wacky ideas. 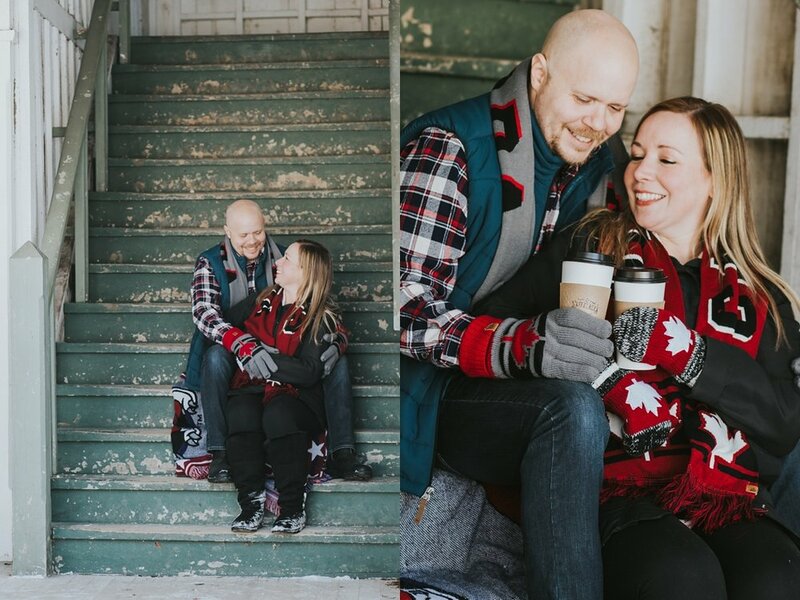 Anyway, cheers to Canada and even better - cheers to Erin and Paul and their upcoming spring weather where I hope the weather is a little friendlier! Oh, and I still have 2 spots left for 2018 weddings, and lots of 2019, if you are still in need of a laid back and rad photographer to follow you around all with a camera and a smile on her face :) Just drop me a line here and we will chat!